Unexpected Love is a collaboration of breathtaking images and heartfelt letters from parent to child (from conception to adulthood) grounded in the Word of God. 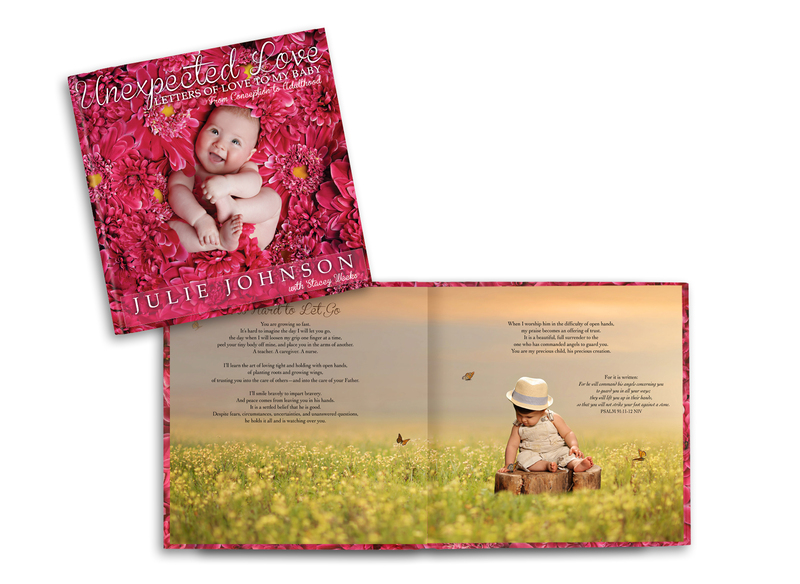 Julie Johnson and Stacey Weeks combine their unique gifts and talents to celebrate the unexpected love we experience for our children while touching on the trials and tribulations that come with raising them in a the modern world. Unexpected Love will encourage you, comfort you, and perhaps give voice to those things you want to say but cannot find the words to express. 10″x 10″ Fine Art Coffee Table Book-Over 50 heartfelt devotionals.